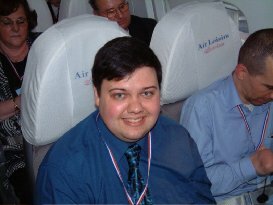 On Saturday March 1st 2003 I was lucky enough to fly on a CDG-CDG "experience trip" on Concorde....This is the story. 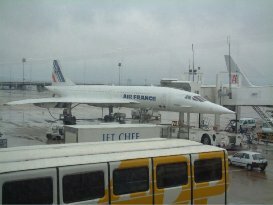 With the downturn of business passengers on Air France Concordes, the airline on a regular basis allows one of their Aircraft to be chartered to fly enthusiast trips in and out of Charles De Gaulle. 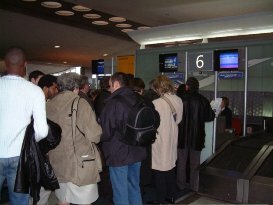 The airline does not operate a scheduled New York service on Saturdays, as years of experience have shown it not to be a busy day on the route. Running an enthusiast charter allows the airline guaranteed revenue from the aircraft that would otherwise not be used. 10 out of 10 to air France at this point; as only 2 days previously they had suffered a rudder failure en-route to New York, stranding an aircraft out there. With 2 other aircraft in maintenance checks they re-timed their AF001 service the day before our trip to ensure an aircraft would be available in Paris on the Saturday and also to carry out the AF002 on the Sunday. Air France charter out the aircraft, for a trip round the Bay of Biscay, to Air Loisirs services (ALS) who along with Goodwood Travel in the UK, market these flight to both the Concorde enthusiasts, or the many people who have wanted to fly on Concorde as their trip of a lifetime. In the UK, Goodwood Travel offer up a series of packages that range from spending a long weekend in Paris, with various city tours, to a day trip with Eurostar travel from London. ALS organise a one day special for their clients, who in the morning visit to the French air museum at Le Bourget, enjoy a luncheon at the airport Hilton Hotel, followed by an airside bus tour of the airport before the late afternoon flight. After the Supersonic trip the guest are entertained at a cocktail reception. Due to work commitments, I could only spend one day in Paris so had to opt for the day trip. At 6:20am we set off on the Eurostar from London Waterloo International, bound for Paris. On our arrival in Paris we were met at the Gare du Nord station, by the Goodwood tour managers. As some guests had traveled over on the previous day, those of us arriving on Saturday would meet up with them at the city centre hotel, before heading off to the airport in the early afternoon. While the ALS guests were enjoying a bite to eat and being entertained by their flamboyant host, Michel Thorigny, the UK group had a little free time to see some part of Paris and do some shopping before heading to the airport for a 15:30 check in. After organising more than 25 of these special flights both, ALS and Goodwood had come to the conclusion that it was best to pre-seat everyone and more importantly mix the 2 nationalities throughout the aircraft, as this had proved to create a far better atmosphere. 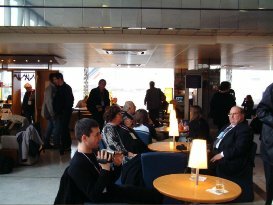 As we were all pre-booked and had no luggage, the check in would be purely a formality, where we would show our passport and be given our official boarding card, before proceeding through security to the special 1st Class Concorde lounge at CDG Terminal 2A. Concorde operations are from the International terminal at the airport, so even though we were not actually leaving the country we had to go through passport control. The lounge afforded magnificent views but unfortunately, not of Concorde who was sitting a few gates down on his usual stand, A20...his tail could be seen so we all knew where to head. All too soon it was time to board the aircraft. 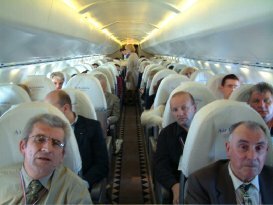 As Concorde only has one thin aisle, like many aircraft in service, boarding was by seat row number - starting with the passengers in the rear cabin. With my seat being 2B, I had a little more time to enjoy the atmosphere and the sense of anticipation that hung in the air. Our aircraft for the day was F-BTSD. 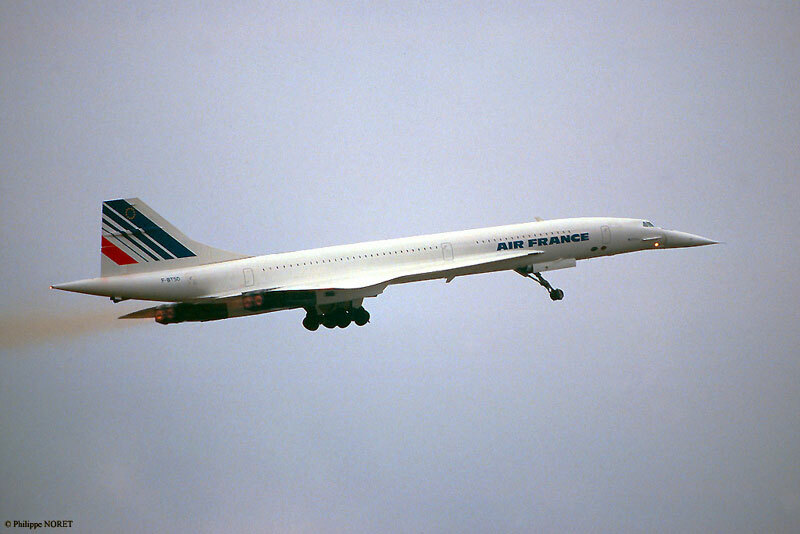 This aircraft was the penultimate Concorde to have been built in France in 1978, and one of the three aircraft Air France had acquired for 1 Franc in 1980. Sierra-delta was the aircraft that had been used in 2001 to test out the new Michelin NZG tyres that were one of the key elements to getting the aircraft back in service after the accident in July 2000. On a personal note it was nice to be flying in this specific aircraft; 6 month earlier I had been fortunate to get the chance to walk round and photograph him (for the detailed pictures section of my website) on the apron at Vartry airport during a crew training session. Once on board you knew this was not going to be any ordinary flight. Everyone had their cameras out and since there was little or no hand baggage to help with, the 6 flight attendants spend most of their time taking pictures for people. What grabbed me here was not just the excitement of the moment, but also the emotion of it. 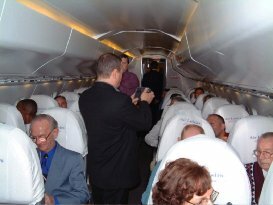 For many they were about to fulfill their lifetime ambition to fly on Concorde, and more that a tear or two was being shed throughout the cabin. Waiting for us in our seats was an Air France Concorde pack that is given out to all passengers. This includes a special booklet on the aircraft detailing his history, performance and flight profiles, along with specially produced Air France Concorde stationary. On every Concorde flight, since the aircraft entered service, it has been traditional to issue a special certificate to those on board to mark that they "broke the sound barrier" on the aircraft. These certificates are pre-printed for each passenger and had been signed by the commander before our arrival on board the aircraft, one person on board commented that they would have it framed when they got home! ALS also provided an A4 sheet with a map and description of our route as well as listing the crew for the flight. During pre-departure checks the Cockpit crew were kind enough to leave their door open to give anyone who wanted to the opportunity to get a quick picture of them at work. The cockpit crews and flight attendants for the charter flights, more time than not, tend to be made up of staff who volunteer to carry out the "round the bay" flights knowing how special they are, compared to the daily schedule flights that a normally full of business passengers. In the cockpit for our flight was Commander - Daniel Manchon along with Co-pilot - Beatrice Vialle (Air France's only female Concorde pilot) and Flight Engineer - Remy Pivet. After short delay, that nobody even noticed, we were ready to set off. Now at this point I really expected to hear the engines start up, but my only inclination that were had in fact started up was the tell-tale flicker of the lights as the aircraft's power was switched to internally generated systems. The engine start up was drowned out by a constant humming noise of the aircraft systems in the forward cabin, although this would stop soon after take off. For political reasons (A runway 28 departure would overfly Gonesse) Concorde must use Runway 27 at CDG , which is a longish taxi from Terminal 2. The extended taxi allowed plenty of time for the obligatory safety demonstration, which on this flight had nearly everybody wanting to watch it, as it was all part of the show. As we were on-board a very light aircraft with low fuel load and no baggage, I knew we would be in for a very sporty, high acceleration departure. As we lined up on the runway I could not help thinking of the accident more than 2 years ago. 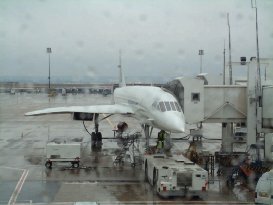 In similar circumstances 100 people were on-board Concorde, for the trip of a lifetime, about to depart from the same runway. Personally I just felt it was right to pause and remember them for a moment. Conveniently, due to ATC, we paused for a moment before lining up on the runway. The time was 17:00 local and we were ready for departure: all thoughts of what had happened in July 2000 were gone as the commander pushed the throttles fully forward engaging full power with reheat selecting automatically. This time unlike start up you could undoubtedly hear the roar of the 4 Rolls-Royce Olympus 593 turbojet engines. Less that 30 seconds after full power was applied we were at Concorde's take off speed of 250 MPH (400KPH). This is about 50MPH faster than a subsonic aircraft's take off speed, and we reached it in nearly half the time! The only though I had was "Wow!, this is one mean flying machine"
Around 50 seconds after departure the throttles are brought back as we entered the noise abatement procedure. 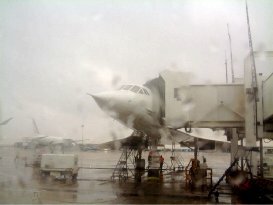 Now many people will have felt the power being reduced on an aircraft after take off, but Concorde now easily flying and accelerating fast, needs to be brought under control...quickly. 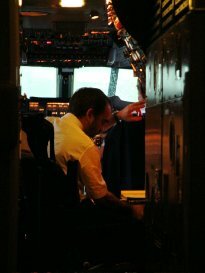 For many new pilots carrying out their first departure in control of the aircraft; experienced crew members love watching them try not to exceed the speeds and heights that they have been asked to level out at, most fail miserably. The aircraft is just so overpowered. When the aircraft is as light as we were that day, you near enough feel yourself move forward in the seat, as if they have hit the brakes when they powered back and turned off the re-heats. Soon we were clear of the local populated areas and the captain could again apply full non-reheated (or dry) power to accelerate us up to our subsonic cruising speed of Mach 0.94. After 3 and a half minutes we were happily flying along at Mach 0.7 - a speed that many airliners would cruise at. Only 7 minutes after departure we powered back again, this time as we were at our target subsonic cruising speed, of Mach 0.95, heading for the coastline north of Paris where the captain could re-apply full power and re-heat again, which would push us through the sound barrier. The 10 minute subsonic cruise gave the cabin crew time to start serving up our meal and champagne refreshments. The stewards changed from their black uniforms to an all white "waiter" outfit to carry out their cabin service, a changed that was appreciated by many and did not go un-noticed. The Air France Concorde cabin interior, although it has been updated several times since 1976, does somewhat lack the freshness and splendor of the updated cabins that British Airways have recently installed. The seats have a big and bulky feel to them, but on the whole are pretty comfortable. We had plenty of leg room, with the seat pitch being 38", but my biggest grumble was that there was no proper seat back pocket to put my camera! Just an ill thought out tray at the base of the seat in front. After only 10 minutes in the air, the captain came on the intercom to tell us that in a few minutes he would re-apply full power and re-engage the re-heats. The re-heats would be turned on two at a time, to accelerate us through to Mach1.7, where they would be turned off and the aircraft allowed to accelerate up to Mach 2.02. I have heard many people say why the re-heats are put on two at a time and know I know why. 13 minutes after departure we felt ourselves being pushed back in our seats as the throttles were once again pushed forward in the cockpit. Seconds later we felt two further nudges as we were pushed further back, as firstly the outboard and then in-board afterburners (or re-heats as we like to call them in the UK) were engaged. Slightly over a minute after full power was put on we were through the sound barrier, at a height of around 30,000ft and only 14 minutes after we departed from Paris. The best thing about it was that only way we knew we were supersonic was courtesy of the little digital Mach meter fitted to the cabin bulkheads...oh and yes! the clapping of everyone on board was a bit of a giveaway too. 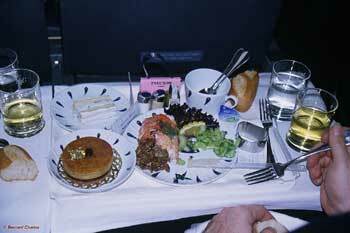 It is at this point you truly understand how well this aircraft performs: as we were settling down to our excellent afternoon meal of lobster, mushrooms, celery, and meat, with a coffee cake dessert, the aircraft wasted no time shooting off to Mach 1.7. Ten minutes after the captain had put on the re-heats he could turn them off as they were no longer needed. 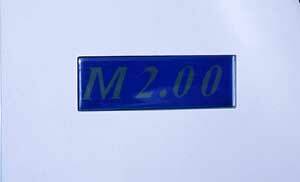 Above Mach1.7, with the thinner air, they are inefficient and would waste too much fuel for very little gain. From Mach 1.7 up to our cruising speed of M2.02 the elegant design of the engines and exhaust system comes into its own. 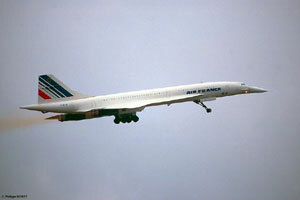 Concorde is the most efficient airliner in the world at high speed, with the engine only generating 8% of the thrust. The other 82% comes is made up by the way the powerplant design handles supersonic airflows - the intakes account for and impressive 63%, and the nozzle system 29% of the total thrust. Over the next ten minutes the aircraft accelerated gently, and by 17:29 we were flying at 1,350MPH....Twice the speed of sound. Unlike BA Concorde's, Air France do not have a read out of altitude on their bulkhead displays, but as we passed the through Mach 2 we would have been, according to the flight plan, at around 48,000ft. Over the next twenty minutes, as we tucked into our delicious meal and sipped a celebratory glass of champagne, the aircraft would climb up to around 50,000ft. At that moment would be the highest people from the planet (excluding the 3 astronauts on the international space station). I was tempted for a moment to stand up on my seat, so that for that instant I would be the highest! The route that the 'experience flights' take sees them head north to the channel, crossing overhead the coastline at Le Harve. Once clear of land the aircraft accelerates through the speed of sound as it heads to the TESGO waypoint mid channel, where the route then heads left down the channel towards the Bay of Biscay via the AKELO waypoint. Once into the Bay of Biscay; the flight plan called for nearly a 270 degree clockwise loop around 250km to the west of Brest that would send us heading back towards Paris, this time over the channels Islands. As we are tucking into our desert we entered the turn: Sitting on the left hand side as we banked up facing the sky looking out the window all I could see was the deepest bluest sky that I have ever seen...quite amazing! 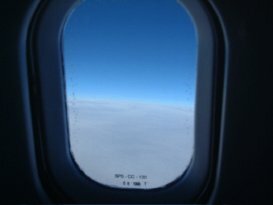 To be able to start seeing the outline of the curvature of the earth you really need to be up at 55-60,000ft, but if you wanted to believe it, you could just about make it out on the horizon. 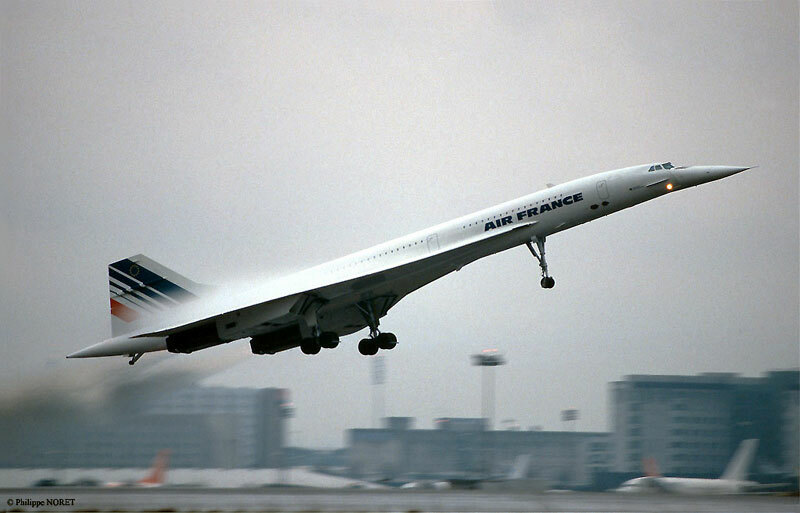 I nearly forgot this bit, but was reminded by Fran�cis who was in seat 2A: When Concorde is flying at mach 2 the friction of it against the air molecules, causes it to heat up and expand. 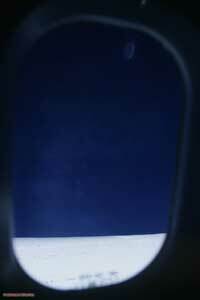 Now during our short flight we would not really be able to see the expansion, usually 6 inches or so, but placing your hand on the window was hot to the touch, or should I say the Perspex inner screen was hot. I would not like to have held my hand on the actual double glassed window for too long, if the Perspex was not there. As soon as the loop, with a turning radius of 65Km, was complete it was time to start our deceleration as we needed to be subsonic, at M0.97, by the time we would fly over Guernsey. It is not too good an idea to fly over inhabited areas at supersonic speed, as it tend to give people a little bit of a fright with the sonic boom. I hoped there was nobody on a cruise ship in the Bay of Biscay at the time, as they would have got the shock of a lifetime. Having experienced a sonic bomb while witnessing a Space Shuttle landing, I can quite understand the issues here. Now what can I say about deceleration; well like any other aircraft you feel the power come off, but you head down in altitude a lot quicker. At least it appears that way due to the way the mind perceives the angles on the horizon, as we were so far above the clouds. 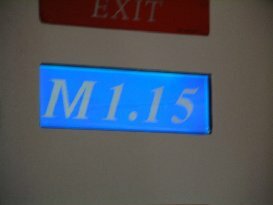 As we passed back through Mach 1, we were just finishing off our meal and enjoying a cup of coffee. The aircraft would cruise along happy at 32,000ft and at a speed of Mach 0.97 as we transited back to Paris over the Cherbourg Peninsular. With everyone happily back in their seats, with every conceivable picture taken and every freebie souvenir acquired from onboard (including the odd safety card, sick bag and exclusive toiletries ...naughty!) we were on final approach back into a wet and windy Charles de Gaulle airport. The new experiences of flying on Concorde were not over yet: Due to Concorde's delta wing design, the aircraft's angle of attack needs to be raised significantly as it comes into land as this is what generates the wing's lift at low speeds. In row 2 I was near enough directly over the nose landing gear, and let me tell you that you know when that thing drops down and when it is securely locked into place...no need for a little green light in the cockpit here! It is also noticeable that the noise level increases, due to the wind resistance, as the gear drops down and as the nose and visor is drooped to the 5 degree position. Also very noticeable was the dull thud as the primary gear doors retract and lock back into position. When we came in for landing we were still a good 20 feet off the ground, at the front of the aircraft, when the main gear touched down at nearly 200MPH. The final, but expected, experience is the deceleration from roughly 160MPH down to 30MPH is in a very short period of time, when reverse thrust kicks in. Although the aircraft is bigger and is considerably faster on landing than a 737, it stops just as quickly, and you need to have you seat belt on! We touched down shortly after 18:30 local time. Our trip had only been a short one, but for many the experience of a lifetime that they would probably never get the chance to do again. As we taxied back to Terminal 2 we could see out of the window the local enthusiasts waving as we went past them on the "parallel" taxiway they links the 2 side of the airport. 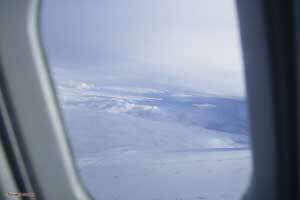 The atmosphere on board, even though the flight was over, was still one of excitement. The ALS clients would head off to a post flight cocktail reception, which some members of the crew would also normally attend at the Hilton. The guests from Goodwood Travel, including myself, headed back into the centre of Paris, where a few of us would head home to the UK on the Eurostar, while the remainder stayed overnight to enjoy an extra day of shopping and sightseeing in the French capital. Air Loisirs prepare special Concorde platters that are engraved with your name and date. These are distributed post flight to everyone as a special gift to mark the flight. A welcome additional to anyone's mantelpiece, and something that will be the talk of many conversations over the coming years. 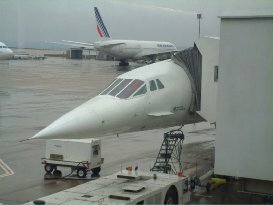 If anyone has ever wanted to fly on Concorde but thought that is was just for the rich and famous think again. In the UK Goodwood Travel offer these packages for just over �1000 for the flight only, �1375 for a one day tour, and �1500 for two day tour including a stop over at a city centre hotel. For those on the Continent, Air Loisirs Services full day package cost only 1580 Euros. I had always been skeptical of such a flight as many had talked them as a flight to nowhere, but I don't think I will every think of them that way ever again. I guess this has to go down as one of the experiences of a lifetime and one that I would certainly jump at the opportunity to do it all over again. What really grabbed me about the whole day was not that I was flying on the worlds greatest aircraft at twice the speed of sound, but the emotion and excitement of everyone you were sharing this experience with and that is what made it even more special.